[BlankNYC]™ Kids Size Chart A sleek and edgy style she'll easily pull off. Vegan leather mini skirt with a modern high rise waist. Fitted waist. Back-zip closure. Straight hemline with a left mini slit. 60% polyurethane, 40% viscose. Machine wash cold, tumble dry low. Imported. Measurements: Skirt Length: 10 3⁄4 in Waist Measurement: 23 in Product measurements were taken using size 7 Big Kids. Please note that measurements may vary by size. A sleek and edgy style she'll easily pull off. 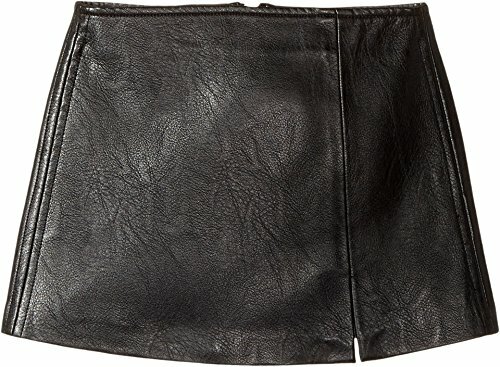 Vegan leather mini skirt with a modern high rise waist. Back-zip closure. Straight hemline with a left mini slit. 60% polyurethane, 40% viscose. Machine wash cold, tumble dry low. Imported. Measurements: Skirt Length: 10 3⁄4 in Waist Measurement: 23 in Product measurements were taken using size 7 Big Kids. Please note that measurements may vary by size. If you have any questions about this product by Blank NYC Kids, contact us by completing and submitting the form below. If you are looking for a specif part number, please include it with your message.